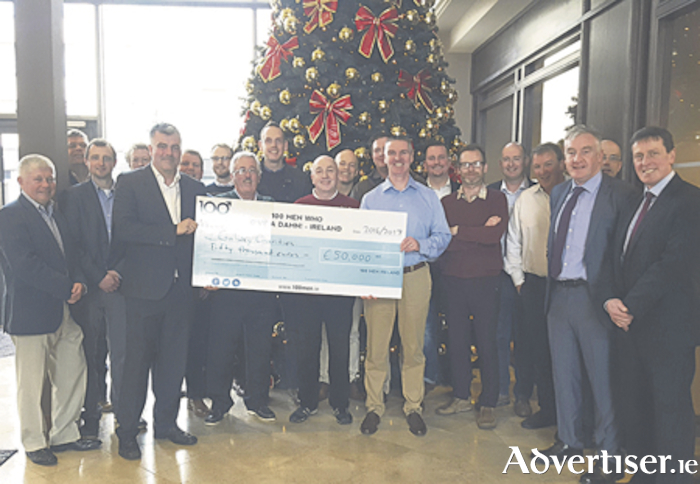 Some of the members pictured last week when they got together to celebrate having raised more than €50,000 in the first two years of 100 Men Who Give A Damn in Galway. Galway organisation, 100 Men Who Give A Damn! has been described as ‘Dragon’s Den’ for charities by providing funding opportunities for specific charity projects. Every quarter, the organisation’s members invite three local charities to deliver a five-minute pitch on why their charity needs funds. The winning charity receives €100 from each member, potentially receiving up to €10,000. Since its inception in early 2016, 100 Men Who Give A Damn! have supported the local community by raising more than €50,000 for local charities.